. . . [an] unusual energy and commitment [underpins Voces8] . . .
Pitch-perfect harmonies, in dreamily sumptuous sonics. Thankfully, "Eventide" not only features some of the finest choral singing you'll here anywhere; as far as chill albums go, it's one of the best I've heard . . . [all the performances] are without exception impeccable. Spaciously recorded, sensitively performed and with some sublime repertoire (always nice to see Tallis performed alongside Whitacre), this is all the evidence you need -- Voces8 are sticking around. Die acht Vokalisten singen in gewohnt brillanter Qualität. Charisma and versatility come naturally to Voces8, one of Britain’s finest vocal ensembles. They make their Decca debut with an exquisite album inspired by inner peace and musical repose. Eventide unites original compositions and sublime new arrangements to create a compelling programme certain to touch listeners’ hearts. The eight young singers of Voces8 perform everything from early medieval plainsong to an uplifting transcription of John Williams’ “Hymn to the Fallen” from his Grammy Award®-winning soundtrack to Saving Private Ryan. 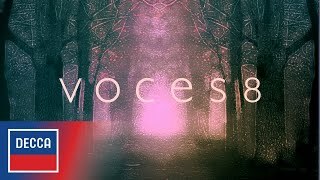 The album’s seductive mix of rich vocal harmonies and haunting melodies for solo cello, harp and saxophone brings a fresh contemporary edge to the soundworld of Voces8. Eventide will captivate choral fans and appeal to the vast audience for spiritual music. This is an inspirational programme infused with the meditative spirit of sacred chant. Eventide opens with an arrangement of the ancient plainsong hymn Te Lucis Ante Terminum for voices and saxophone, a track that evokes the transcendent sounds of Officium , Jan Garbarek’s best-selling collaboration with the Hilliard Ensemble. Royal Wedding composer Paul Mealor’s Locus Iste connects with the radiant purity of plainsong at its most intense, while Voces8 deepen this album’s contemplative mood with two beautiful pieces by Patrick Hawes, Reflexionem and Quanta Qualia, and a stunning performance of Karl Jenkins’s popular Benedictus . Other Eventide highlights include Morten Lauridsen’s O Magnum Mysterium , Eric Whitacre’s The Seal Lullaby and an exquisite Harvey Brough arrangement of Britten’s Corpus Christi Carol . The young Norwegian composer Ola Gjeilo was inspired to write Second Eve by the sun setting on Alsaka’s Mount McKinley. A rising star of New York’s contemporary music scene, he launches his score with towering chordal sounds and intensifies the atmosphere with a serene alto solo. In addition Voces8 explore the hymn-like qualities of two contemporary songs with a cappella arrangements of Emeli Sandé’s “Where I Sleep” and Kate Rusby’s “Underneath the Stars”.